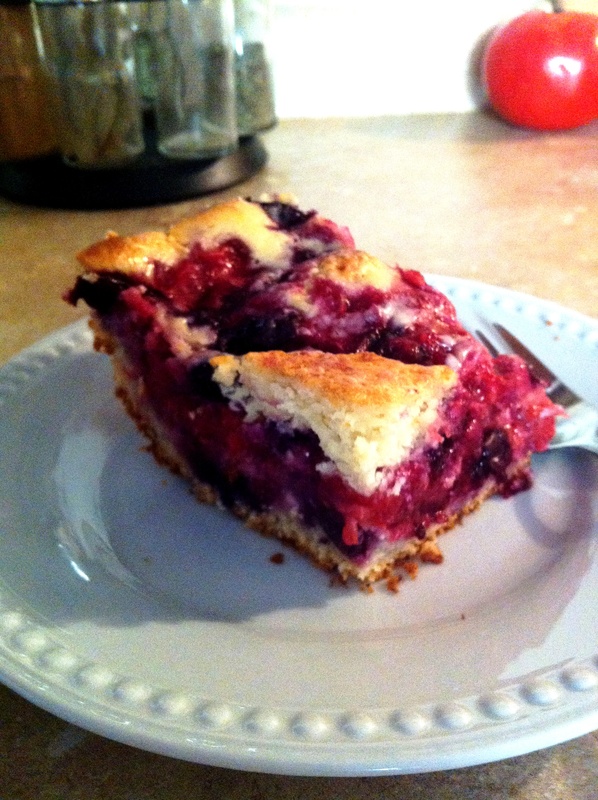 This is a different kind of cheesecake - when it bakes, the cheesecake filling mixes with berries and makes the batter beautifully moist. 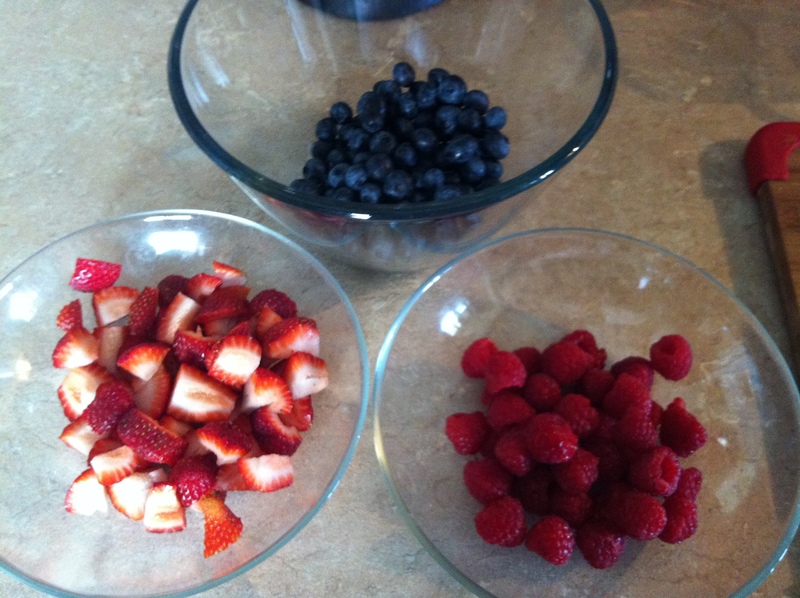 It’s great when there is a great selection of fresh berries at very reasonable prices this time of the year! 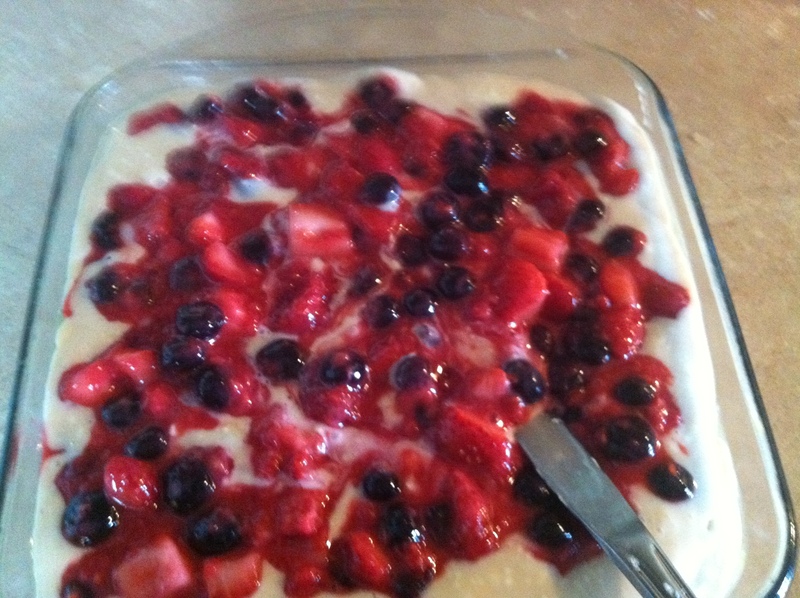 I had some strawberries, blueberries and raspberries in the fridge, so I thought that I will create a recipe, combining the basics of making a coffee cake and cheesecake and add the berries. The result was better than I thought. 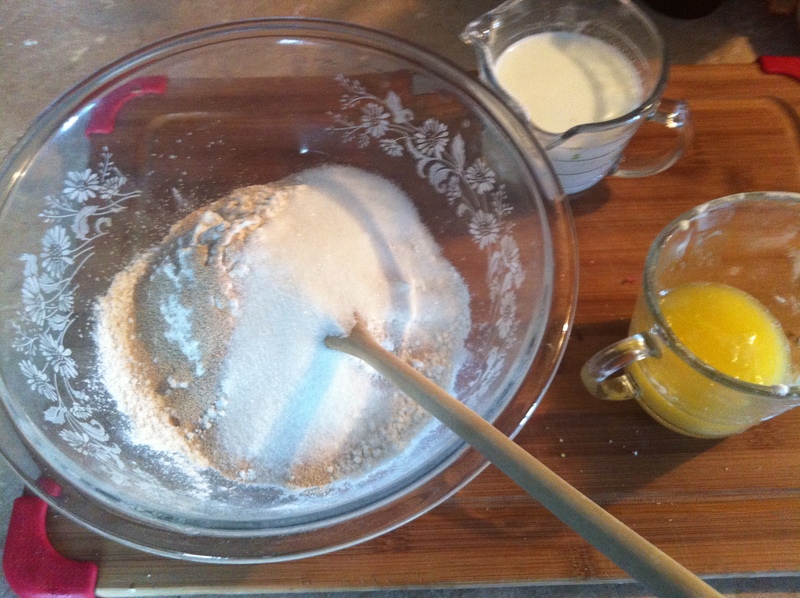 Yes – I do have to admit that there are times I “create” recipes and the results are…. well – not so good. 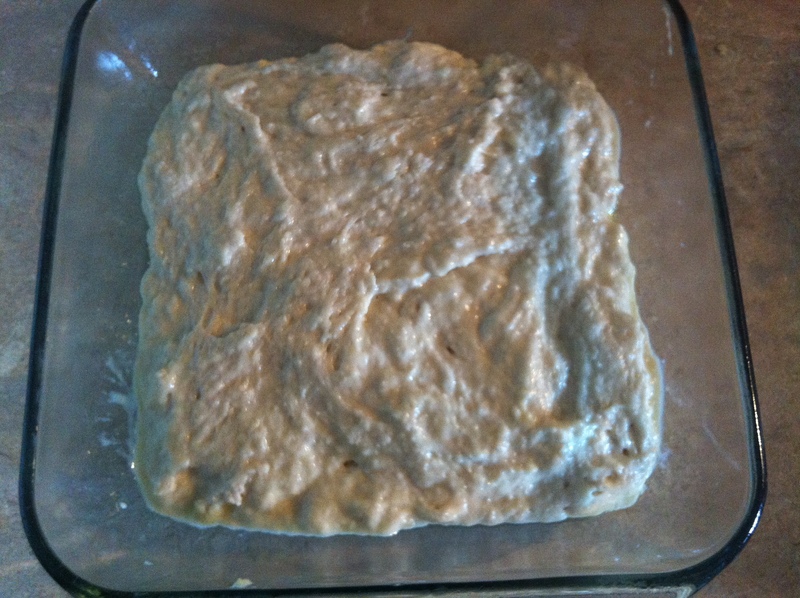 But this one is an exception – very moist and deliciously tasty. Try it – you will love it! 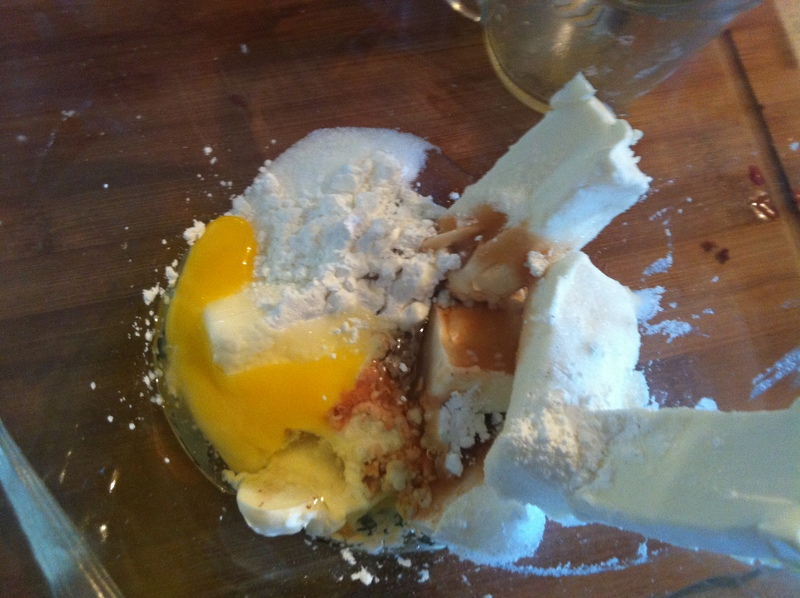 Mix all batter ingredients together in a medium bowl. 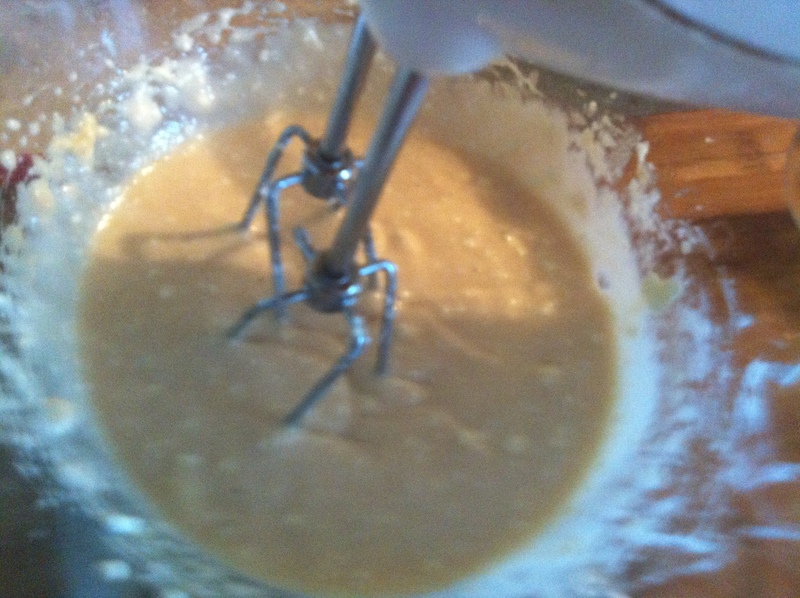 Let mixture rest while preparing the sauce and cheesecake mix. 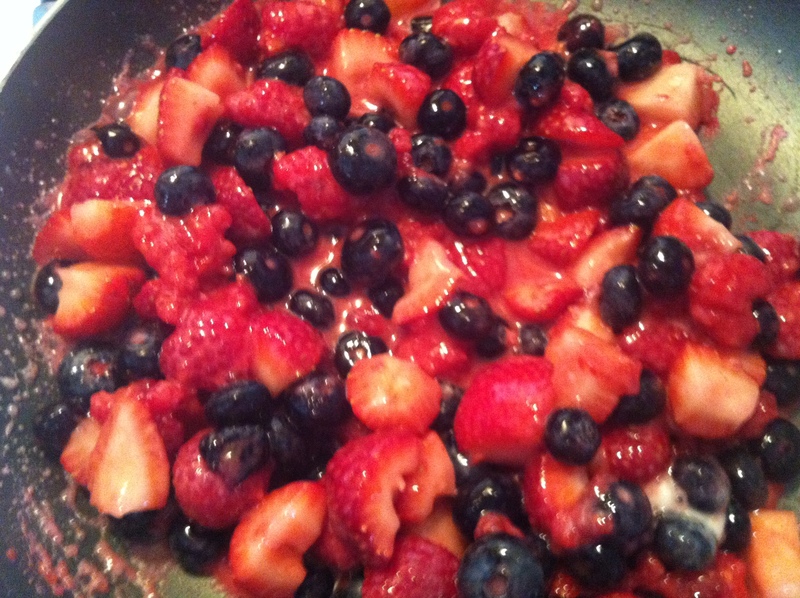 To make sauce, mix berries together gently with all other sauce ingredients in a cooking pan. 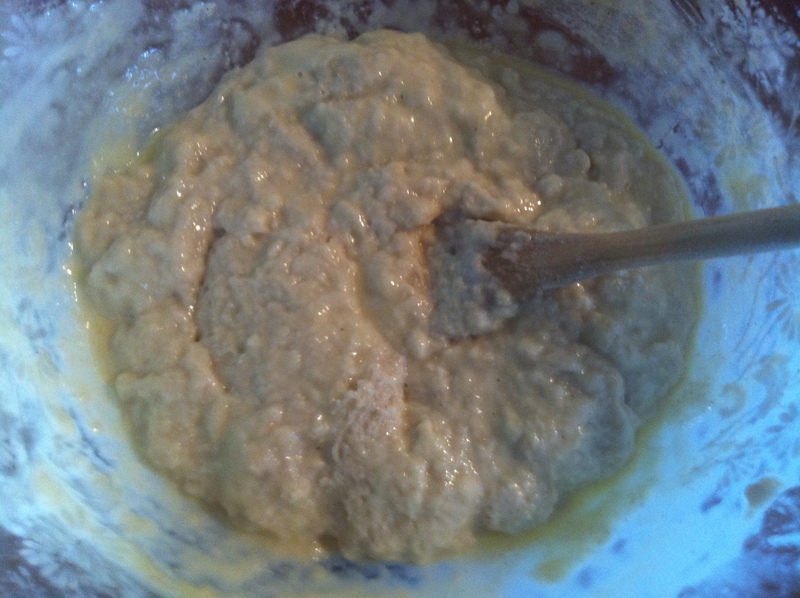 Bring to boil and cook for couple of minutes, until sauce thickens. Bake at 350F for 40-45 minutes or until the cheesecake is set. 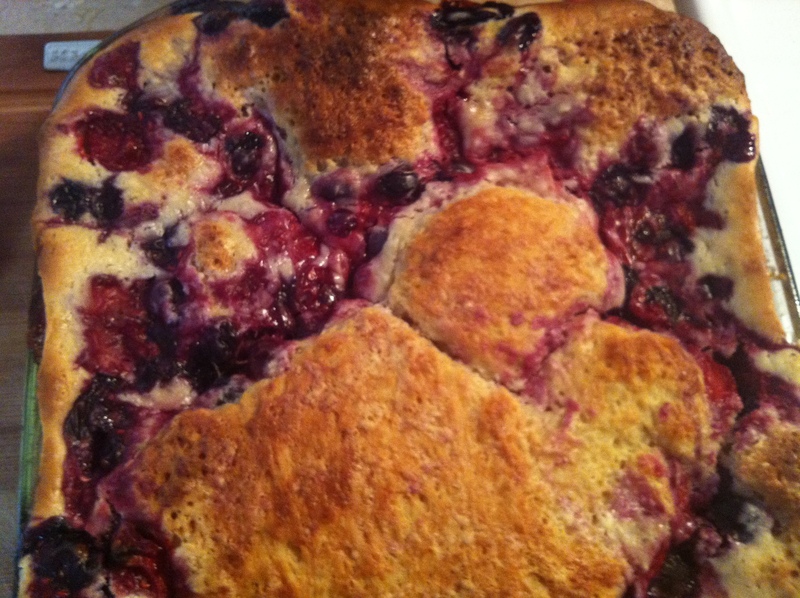 This is what my triple berry cheesecake looked like when it was finished baking - when cut, every piece had a generous amount of berries and cheese filling - yummy! Serve this cheesecake warm with French Vanilla ice cream and you will have a hit for sure! Hope you will enjoy this delicious cheesecake recipe – please send me your comments, suggestions and experiences – your input is always welcomed and very much appreciated!